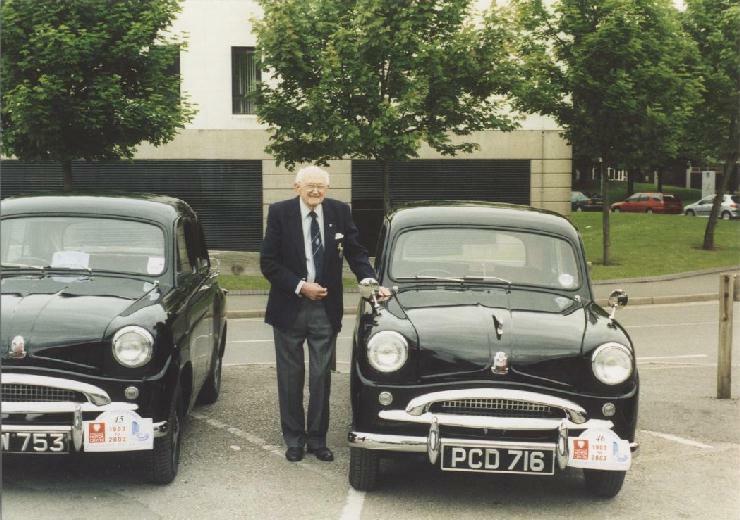 Seen here at the Standard Motor Company centenary rally in 2003. The gentleman posing with my car is David Eley, who led the development of the engines for these cars back in the 1950s. PCD 716 is a Standard Ten, built by Standard-Triumph in Coventry in early 1955 (the engine is dated 5th January, the wiper motor is dated March), and first sold by Moores Ltd., of Brighton & Hove. I bought the car from a dealer in Northamptonshire in September 1991. It was delivered to my parents' house by lorry a couple of weeks later, and the 'quick project for the summer' was underway... little did I know the restoration would take me more than ten years!